With an erratic power supply that does not offer a constant uptime, a perfect UPS for PC in India is something that would be quite an essential one. A sudden blackout would be something that can destroy an electrical interface, or even result in data loss. Apart from the monetary loss involved with the electrical faults, you may also suffer considerable damages if your valuable data is lost. From that perspective, it is important to have UPS connected to your computer especially when you work on sensitive work where data is crucial. 3 How Long Does a 1500VA UPS Last? 4 What is the Difference Between UPS and Inverter? In this article, we have come up with 5 Best UPS for PC in India. But, before going straight to the list, let’s know more about UPS so that choosing the best one for you will be a lot easier. Recommended Reading - What is UPS? UPS stands for Uninterrupted Power Supply which is electrical equipment that provides the PC with an emergency power backup in case of power-cuts. Computer’s data and hardware may be damaged when it gets suddenly shut down. Therefore, to save these, it is important to equip your PC with a UPS so that even power-cut happens, it keeps your PC on, and usually, the backup duration is 25-35 minutes which is enough time to save all of your work, and shut down your PC safely. Buying a UPS may not be as easy as it would appear to be. You need to indulge in deeper research before you can opt for the best UPS for PC in India that would meet all your needs. Instead of opting for recommendations, go through a proper research path to check out the credentials. Decide beforehand about the number of devices you would be connecting to your UPS. Ideally, you would connect your PC and monitor to the UPS. There can be additional equipment like the Printer, WiFi router, Speakers or any other extra devices you may need to connect. As a rule, go with the UPS with one-two additional outputs ports than those essentially needed. Measured in VA (Volt-Ampere), this is an important aspect to be taken care of and depends on the number of devices connected. The total power needs of all the devices together need to be considered while zeroing in on the best option. You can add up the wattage of all the connected devices and arrive at the approximate power requirement. Converting VA to Watt may not be easy without the knowledge of Power factor. However, an assumption can be made based on a power factor of around 1.6. Go for a UPS with at least 20 percent more VA. Here in India, you will have an advantage, as most of the UPS have wattage mentioned! This refers to the approximate duration that you would want the power supply to be continued till power resumes. The general rule of higher the better should not be applied while buying a UPS, as the main purpose of UPS is to help you save your data and not of being a power backup. Ideally, a few minutes of operation is desired so that you can save your data and shut down properly. 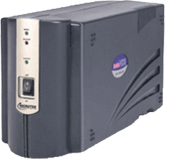 If you need a backup, then you should additionally buy an inverter. Not always the most costliest product would be the best fit for you. And not always the product with the highest warranty period needs to be preferred. An ideal UPS would offer a lifetime of 2 to 3 years in the price range of around INR 2000 to INR 3,000. 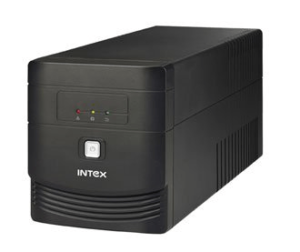 We have listed below few best UPS for PC under INR 3,000. An important aspect that you need to consider is, do they have an onsite warranty. If not, do you have the service center of that brand in your city? Additional features included within can be a good option to check out. Of course, they are not mandatory, but a few extra features like a LED panel that shows the battery remaining or the runtime available can be the best money can buy. A couple of other options would be the battery notification alert, a software to control the UPS from PC and user-friendly settings. 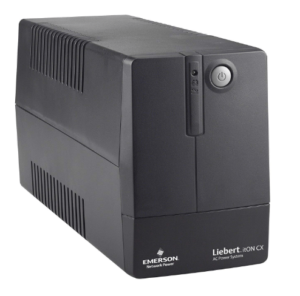 The Emerson Liebert iTON CX 600 VA Line Interactive UPS is one of the best options in the mid-range budget and comes with an output power of 0.6 kilowatts. The UPS offers you a sine wave power output and is one of the best UPS for PC in India. You can get around 15 minutes of battery backup in case power failures. The UPS has a power rating of 600 VA, ideal for a regular PC. The compact size should make it ideal for homes and smaller offices. You have three ports for connectivity, and the UPS comes with a two-year warranty. Beeping alert for battery power. A little heavier at 4.2 kg. Q: Does it offer an offsite warranty? A: It offers you onsite warranty. Q: Is the UPS compatible with the generator power? A: Yes, it can be used with a generator. Q: What is the power cable length? 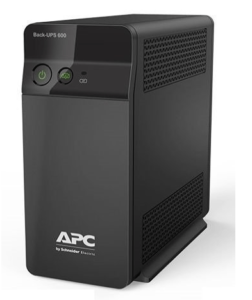 APC BX600C-IN 600VA, 230V Back-UPS is one of the best UPS for desktop PC in India you can opt for, thanks to the high end features that it packs in. One of the best options for battery backup and surge protection, you can use it for wireless networks, computers, gaming consoles and a host of other devices. With three ports and 600 VA power, it should be ideal enough for all your requirements in a perfect battery backup. It offers you a host of additional features in the form of audible alarms for change in power and battery conditions, automatic voltage regulation and automatic battery tests to ensure timely battery replacement. Battery extender improves battery life by a few more minutes. The product comes with a two-year warranty. Backup time is just around 5 to 10 minutes. Q: How much additional electricity bill can we expect by installing the UPS? A: A full of a UPS would consume around 0.5 KwH of your electricity. If the rate of electricity is INR 10 per unit, then it would cost you INR 5 per full charge of UPS. So if you have regular power cuts and you have to fully recharge your UPS 5 times a week, then you can expect additional electricity bill of INR 25 per week. Q: Does it have surge protection? A: Yes, but not to a major extent. There are basically three types of UPS systems currently available. Each of these types should be able to meet your needs in either enterprise or consumer applications. You can choose between the two major types – Offline and Online UPS systems. The Offline UPS is also known as Standby UPS. These will detect a power failure and switch themselves on to provide the power supply to your computer. They will provide short-term, battery-sourced power during power outages. It receives the power and on hold until a backup power is actually needed. It is one of the best options against the surge issues you may come across when using the computers. Whenever the UPS detects a power failure, voltage sag or overvoltage, it switches the battery power on and provides the power supply to your computer until the regular power supply is restored. It can be an effective and efficient option against power failures. The UPS typically work on Square Wave or modified square wave mode. The standby UPS devices can be found in 600 VA or below capacity. 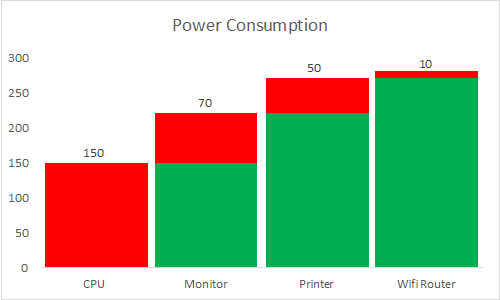 These options can be best suited for your needs in home usage or for single computers/terminals if you are using it for a business machine. The Line Interactive UPS can be helpful in controlling the irregular voltages. It can handle both high and low voltage conditions and thus can help your systems with a focus on saving the battery. These systems are equipped with AVR or Automatic Voltage regulator. The AVR compatibility assists you to boost or buck the voltage and thus does not consume power. This can also be helpful in reducing the number of transfers to and from the battery usage. This can help you improve battery life further as the battery power is utilised only when it is absolutely necessary. The interactive UPS options come with a square wave or pure sine wave options. The units are ideally available in 0.5 kVA to 5 kVA capacities. They can be expensive than the standard offline UPS systems but are cheaper than the online systems. The Online UPS systems are one of the most expansive options for providing an uninterrupted power supply. They work on either a double conversion or delta conversion technique. The double conversion option works somewhere on these lines – the AC power travels to rectifier where it converts to DC power. After that, it travels to the battery and then to the inverter. The current thus convert back to AC and then to the equipment. This process ensures that your computer receives a continuous power supply. The delta conversion method sends only a certain amount of power to your computers directly. Part of the power is sent directly, while the rest of it is sent through the conversion process. The online UPS system manages a consistent power supply and ensures effective protection to computers and other equipment. Once the fluctuation is detected, the rectifier bypasses the direct power supply and sources it from the battery until the power supply is resumed. This will ensure that the power supply remains seamless. Recommended Reading - What Power Problems necessitate the need for UPS? Power Supply problems can be caused by several reasons. The issues can include distribution network faults, system switching, environmental or severe weather conditions, faulty hardware, heavy loads on the local plant, terrorism, high power demands or accidental routing or cable cutting. Sags – Sags are the reductions in the power supply for shorter durations. This can be visible where there is a higher level of power demand, and the local distribution network comes under strain because of the extreme load. These snags can cause data loss, system reboot and even system locks. Spikes or Transients – These are the faster surges in energy and can last a few milliseconds. Spikes can cause sudden damage to the power supply systems. If these transients are larger, they can even damage your network equipment. In fact, it can even cause a lightning strike as well. Electrical Noise – It is a high-frequency noise. It can happen either as the common mode and normal mode. The common mode is quite dangerous and can cause network damage. Surges – Surges are the short duration voltage hikes in the power supply. These surges can happen through several cycles. These surges can supply a very high voltage to the equipment connected to it. This can cause premature failure, component failure or even malfunctions. Brownouts – The Brownouts are equivalent to the surges, but can last a long time. In some cases, it can even last days as well. Apart from those explained above, a few other power supply problems can include Blackouts, Power Outages Mains Power Supply Failures, Harmonic Pollution and frequency drift. 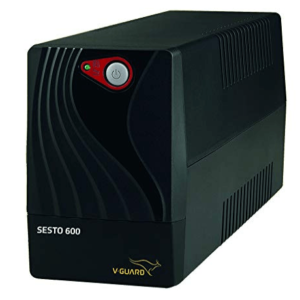 VGUARD UPS SESTO 600 – 600VA is one of the excellent options from VGuard, a huge name in stabilisers and UPS in India. With affordable pricing in comparison to the other brands, it offers you a 600VA / 300W power capacity. It offers you both audio and visuals alerts for the different status with respect to your valuable equipment. It offers a Pseudo sine wave functionality and comes with an off mode battery charging facility. You can be assured of 10 to 15 minutes of backup in a full battery charge. Equipped with four ports, this best UPS for PC under INR 3,000 comes with built-in ZPD technology. You have a 12-month warranty on the battery and a 24-month warranty on the product. Does not support laser printers. Does not serve as a stabilizer. Q: Does it offer an onsite warranty? Q: Can it be connected for home appliances? A: Though you may use it for other home appliances, please note that it is basically designed for computers and connected devices. 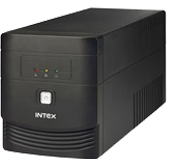 Intex 1000VA Gaama UPS is one of the prominent options though Intex is not really known to offer great performance as such. Designed with two batteries to offer a 1000 W of power, it offers you a backup of up to 20 to 50 minutes. Intex 1000VA is definitely one of the best UPS for Gaming PC in India in this price range. A few of the extra features would include automatic voltage regulation, visual indicators in the form of LED and a safety protection. It offers you a host of indicators of a host of services including that for AC Mode, battery mode and low battery. The device comes with four sockets. High-end UPS at an affordable pricing under INR 4,000. Q: Can it be used with PS4? Q: Does it offer AVR? A: Yes, it comes with Automatic Voltage Regulation. 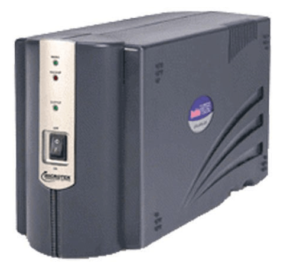 Microtek 800VA UPS comes with a 12 v battery and offers you a back-up of over 25 to 50 minutes. The charging time would range for around two to eight hours. It also comes with a fuse protection functionality. Microtek 800 VA is a good UPS for Gaming PC, however, it would be better to go for Intex VA 1000 as it offers 1000W at a lower price. The UPS also comes with notification alerts in the form of red and green LEDs for battery mode and mins mode. You also have access to the automatic voltage regulator functionality. The overvoltage protection is one of the best features that the UPS offers you a safer alternative for your PC. The product offers you a one year warranty on battery and two years warranty on UPS. The UPS has two ports for connectivity. An exceptional battery backup up to one hour. Dual battery for an efficient functioning. Not compatible with the inverters. Q: Is it compatible with a generator? A: yes, you can use it with a generator. Q: What would be the backup for WiFi router? A: Around 5 to 6 hours. Recommended Reading - How to Calculate the UPS Capacity Required? How Long Does a 1500VA UPS Last? A very general question you might come across could be – how long does a 1500va UPS last? This is a very subjective question and it depends upon your wattage load. To calculate the UPS capacity rating of your new UPS, you need to create a list of all the equipment you would want to power with it. Add up the total wattage of all the items. This includes the computer, the peripherals like printers and other allied elements and any of the other essential devices you need to power with a UPS simultaneously. Please note that a device will not always run at the rated power consistently. In any case, you would not want to go with an exact calculation. If you go with the rated capacity of the devices, you will find that you have extra battery life. You can even give extra precision to your calculations to provide you with more room for extra battery life for your computer. That would mean, if your server has a maximum wattage of 900 Watts, the minimum UPS capacity we would recommend you to opt for would be 1440 VA. The nearest rating for the UPS would be 1500 VA. However, if you are looking to check the duration for which the UPS will run, there are no definite calculations available. As the UPS are not inverters, their purpose if just to give you enough time to save your data, and shut down your PC properly. Hence, for the above example, if the total wattage of all your equipments is ~900 watts, then you may opt for a UPS of 1500VA, which can give you sufficient time to save your data and shut down your system. A good rule of thumb can be to find the minimum rating required as per the above calculations. Then, begin comparing the run times of the UPS systems above the minimum requirements. UPS (Uninterrupted Power Supply), which is mostly used for desktop computers, is used to provide continuous power supply in the event of a power cut. Whereas an inverter is a power backup solution for your entire home. Usage Used as a power backup for PC. Used as a power backup for the entire house. Backup time Few minutes (usually 10-15 minutes). Few hours (usually 3 hours+). One might have a question, why not just buy an inverter instead of a UPS? The main purpose of UPS is to help you back up your data during a power cut. The Inverter takes a few microseconds to switch, and in this time, your PC might get shut due to which you will lose all your unsaved work. Just for this delay of a microsecond, one needs to use a UPS for the PC. Let’s understand in a bit technical way when a UPS is connected, the computer takes power from UPS, and the UPS battery keeps on charging by receiving power from the electricity. So, when power cuts, the computer doesn’t even get any power cut for a second. And, during the power cut, the battery stops charging, you still get around 25-35 minutes to save your work and shut down the PC to save your work. But, if you use an inverter, your computer will still work using the power from the main electricity, but when power cut happens, the inverter takes a few microseconds to replaces the electricity as the power source but that few microseconds duration is enough to make your PC shut down. So, in this case, the data can be lost, and the PC may get other damage as well. Therefore, UPS is the best option for the computer. UPS inventor is rumoured because it nobody can claim the invention because it is a combination of various theories. But, John J. Hanley patented the first UPS as “Apparatus For Maintaining An Unfailing and Uninterrupted Supply of Electrical Energy” in 1934 in the USA. If you search over Google as who is the inventor of UPS, you will get the name of “John J. Hanley”. It will be interesting for you to know that apart from supplying backup power to PC, there is a UPS which provides power backup to an entire city. Yes, it is true that the world’s largest UPS, 46-megawatt Battery Electric Storage System (BESS) provides power back-up to the city Fairbanks in the Alaska state of USA. The first time it was switched on in the year, 2003. Its 40-megawatts of power is well enough to an approximate count of 12,000 people up to 7 minutes. UPS failure heavily depends on its battery. Thus, always get the one with a good Battery must be maintained well regularly to offer good service. There are mainly three different types of UPS such as inline double-conversion, offline-standby, and line-interactive. We assume our top picks for the best UPS for desktop computers in India should meet the varied needs of the customers. With a view to provide a better choice for the excellent protection for your valuable equipment and protect for the hazards of the loss of valuable data, we have analysed a wider range of UPS systems so that they would fit almost for all the requirements. Share your views and experiences you may have had with the UPS options that we have compiled here. Also which according to you is the best UPS for PC in India and why, do share details in the comments below! Moreover, if you have any question related to this article, don’t hesitate to ask in the comment section.